Twitter has rolled out an update to their Android app that brings support for App Shortcuts. 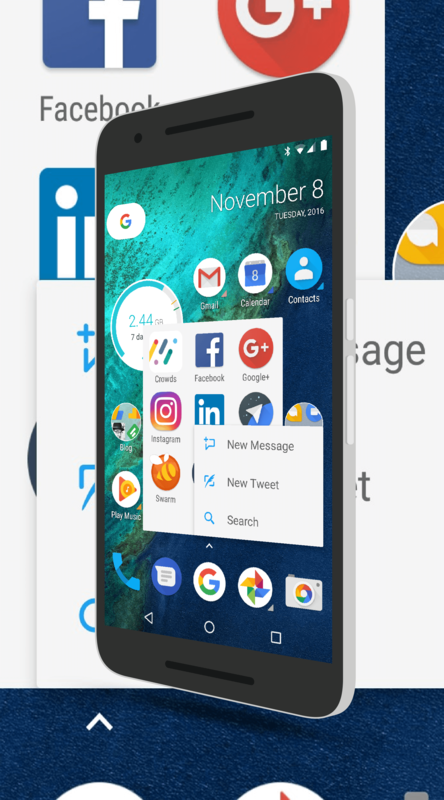 It makes them just the latest to offer the new feature, something that is coming natively to Android Nougat 7.1 but can be experienced in other devices with launchers that support them. Specific to Twitter, this updated version gives users the ability to send a new direct message, a new Tweet or to do a search of Twitter for specific content. Once you select the shortcut you want, the app launches to that particular feature automatically. This makes it super quick to send a new message or a new Tweet. Nougat 7.1 currently but 7.0 Nexus devices will see the update before the end of the year. For Pixel users, just long tap the Twitter icon and the shortcut menu will be displayed for you. If you are on 7.0, how you get to the shortcuts will depend on the launcher you are using (remember, Google Now launcher does not support app shortcuts today). In my case, I’m using Action Launcher which supports them with a simple swipe up or down of the icon. As for the app itself, you need to have version 6.22.0 for the app shortcuts to be available. If you already have Twitter installed on your phone, it is just a matter of the OTA coming to you over the course of the next few days or two.